Cornelius van Drebbel born in Alkmaar in 1572 in the Netherlands, he is the inventor of the first submarine that embody the design of leonardo da vinci. After a few years of schooling in Alkmaar, circa 1590, he then went to Haarlem, which is also located in the North of the Netherlands. Teachers at the academy is Hendrick Goltzius, sculptor, painter, and humanist, Karel van Mander, painter, writer, humanist and Cornelis Corneliszoon of Haarlem. Drebbel became skilled carver. In 1595 he married Sophia Jansdochter Goltzius, Hendrick sister. They had 4 children. In 1600, Drebbel was in Middelburg where he built a fountain in Noorderpoort. He met with Hans Lippershey which is co-constructor of telescopes and Zacharias Jansen. Drebbel learned lens grinding and optics. Around 1604 Drebbel family moved to England, probably at the invitation of the new king, James I of England (VI of Scotland). Drebbel also worked in the courts. In 1610 Drebbel and family are invited to come to the palace of Emperor Rudolf II in Prague. After Rudolf's death in 1612, Drebbel back to London. Unfortunately his patron Prince Henry died and Drebbel financial difficulties. Initially, the submarine sketch artist is Leonardo da Vinci (1452-1519), while William Bourne designed the plans for the ship (1578). 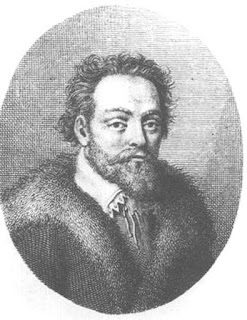 However, a successful build is Cornelius van Drebbel in 1620. Initially, he only saw the sketches that made two of his friends. Then, slowly van Drebbel he tried to realize the unique vignette. Standard construction is still taking sketches Bourne. That is, using the principle that the ship could sink if the tank is filled with water. If the boat will be raised to the surface, emptied the water tank first. So, van Drebbel trying to apply the law of Archimedes using paddles for propulsion. Not quite up there, van Drebbel continue to upgrade the submarine makes. Especially in terms of design to shape it like arrangement of the two boats and the skin closed. The holes made more adhesive so dayungan not take in water. Van Drebble not use ballast system, but trying to iron so much easier dive boat. The submarine became the oldest submarine. Therefore, the body is still made from animal skins and wood frame. Van Drebbel also wrap the base timber ships with waterproof material with leather and paddle boats. The addition of air tubes made van Drebbel to provide oxygen. Made his first trip with 12 oarsmen in the Thames. In these trials, the ship managed to dive as deep as 360-450 cm below the River Thames, London, for 2-3 hours.